Julius is a product of genetic engineering. He has six fathers and one mother. He is highly intelligent and extremely strong. He lives on a caribbean island until he finds out that he has a twin brother. Only that his brother is nothing like him. For his first comedy he did well. But DeVito was a good partner and I am sure he he gave him a lot of tips. Richard Tyson ... Cullen Crisp, Sr.
Joseph Cousins ... Dominic Palmieri / Cullen Crisp, Jr.
Christian Cousins ... Dominic Palmieri / Cullen Crisp, Jr.
Detective John Kimble Has been trying to arrest the drug gangster Crisp for quite some time now. Now he gets the chance, he has just to find his ex-wife, who went into hiding with their son. But for this he has to work undercover in a kindergarten. 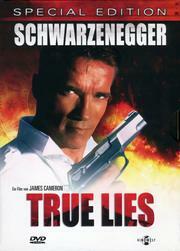 My favourite comedy of Arnie's alongside with "True Lies". Everytime I watch this I find it amusing how he tries to get control over this little horde. That aside I think it's a good idea to use twins as a single character. This way the kids don't overwork themselves and the audience can't tell the difference. Danny is a movies fan and his greatest hero is the Cop Jack Slayter, played by Arnold Schwarzenegger. When Danny gets the chance to watch Slater IV in a small theatre before the premiere evening, he takes this chance. But suddenly is is in the movie instead of just watching it. I don't know if it was on purpose or not, but some parts of that movie, e.g. the mix-up between the virtual character and the real actor and the oversized figure did remind me of "The Hard Way". Nonetheless I liked it, especially the references to "flesh wounds" and "neverending magazines" for guns. I enjoyed all 3 you mentioned above.... but unfortunately I only have Last Action Hero in my collection at this point. 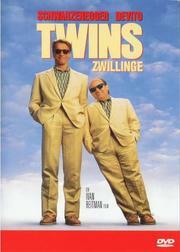 I really liked the team-up of him and Danny DeVito in Twins... been a long time since I seen it though. 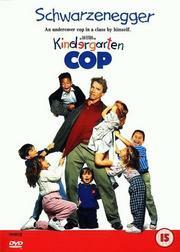 Kindergarten Cop was a lot of fun too... and one I haven't thought of in a long time! As I said... 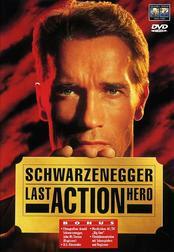 I have Last Action Hero... but it has been quite a while since I actually watched it. I also liked how they pointed out all the stuff they do wrong in action movies... that people seldomly think about. Just added that much more fun to the movie. I think Last Action Hero is highly underrated (was it mentioned in that other thread...?) I like it a lot as well. 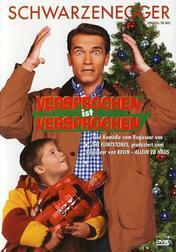 It's been hard for me to watch Schwarzenegger movies since he became my governor. Harry Tasker pretends to be a computer system salesman who travels a lot and attends fairs. At home he as a loving wife and a pubertal daughter. But Harry doesn't go on business travels of the usual kind. Harry is an secret agent who works for Omega Sector and one day his family is dragged into his second life. The movie works very well because it doesn't take itself seriously. The action spiced up with the humour is excellent. And seven years before 9/11 the Arabs-are-bad-terrorists-plot has not been used ad nauseam. Dr. Hesse and Dr. Arbogast have developed a medicine that helps on difficult pregnancies. Pregnancies of women who had previous miscarriages. They tried in on monkeys but the FDA denies them the possibility to test it on woman. To escape this dilemma they induce a Expectane-based pregnancy in Dr. Hesse. Aside from the fact that it wouldn't work in a man with or without Expectane (in lack of an uterus and an umbilical cord) it was amusing to see the giant Schwarzenegger being pregnant with Skeletor right on his tail. The only thing Howard Langston has to think about is getting his son a "Turbo Man" doll, the most wanted present this year. But he blows it and he tries to get one on Christmas Eve - a Mission Impossible. This one I didn't like that much, mainly because of the absurd action sequence at the end and the little "Annie". I think Arnie is underrated, full stop. He is good at what he does and he always seems to give his all. Plus he's a bloomin' nice chap. 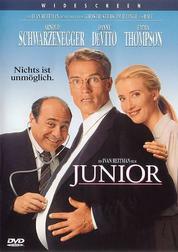 I like Kindergarten Cop and Twins. I don't have the DVDs because they're on my mum's shelf. They must be amongst her favourite films. I especially like his partner in Kindergarten Cop who has a great line at the end... "Not so tough without your car, are ya?"